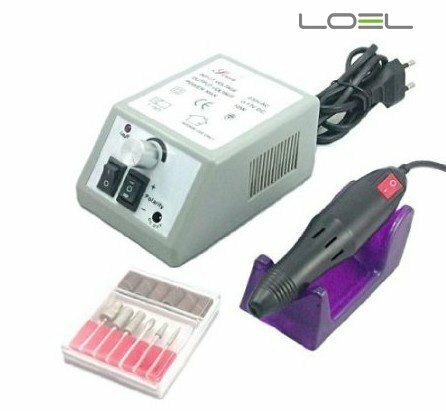 This Loel® Electric Nail Art Salon Drill Glazing Fast Machine Manicure Pedicure Kit greyfeatures an amazing lightweight hand piece with a top speed of 20,000 RPM. This is the fastest in the industry and great for all types of nail work from sculpting, buffing, to polishing. Budget priced drill for doing professional nails at home or for professional use. 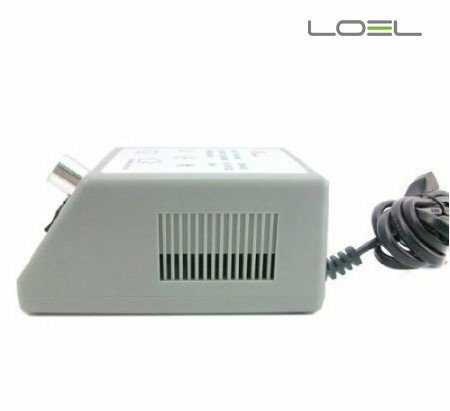 Ideal for beauty student, nail salon. Electrical/Plug-in Drill in 110V (for USA, Canada, Mexico). Powerful: 3000-18,000 RPM Variable Speed. FEATHERLIGHT Handpiece is easy slide-in/out type chuck.